Cath Tonkin Interiors provides a full range of interior design and decoration services from single spaces to a complete interior renovation. With a love for detail, texture and colour - Cath Tonkin's design solutions infuse the old with the new to create a timeless space for each client to enjoy. Completed projects range from historic country homes, elegant city residences to contemporary apartments, boutique food & retail spaces and commercial projects . Cath welcomes collaborations architects, developers, builders and landscapers. OSR Interiors & Building Design practice is run by Rebekah Cichero with Interior Architect Katherine Rawlings and Building Designer Timothy Cichero. OSR creates spaces that people feel good in - custom design, bespoke fit outs, with a timeless aesthetic and attention to detail. The OSR Family provide a skill set to complete your project from graphic design to interior and building design, art direction, event coordination, styling, curating and photography. Carrie Deverson Interiors provides a complete design, selection and installation service, including paint colours, tiles, floor coverings, soft furnishings, artwork, furniture and lighting. With a career spanning 25 years as an Adelaide based Interior Decorator and Designer, Carrie Deverson is passionate about all aspects of decorating...the pattern of beautiful fabrics and wallpapers, colours, designing a bespoke piece of furniture and how they all work together. Carrie is well known for her innate sense of colour, scale and proportion and continuity. Whether a complete new build, a renovation or simply a refresh, Carrie works closely with her clients to create a personalised scheme, tailor made to their tastes and lifestyle. During her career, Carrie has accumulated access to exclusive fabrics, furniture, lighting and accessories. Her experience has enabled her to accrue the best tradespeople such as builders, installers, curtain and blind manufacturers, cabinetmakers, furniture manufacturers and upholsterers. Carrie loves the diversity of her job. She could be designing a masculine art deco style office, a feminine french style bedroom or a casual beach house. Consultation is by appointment. Design Fusion / when design fits life Whether it's a new home or home office, our design expertise and passion will make your space beautiful, functional and stylish. From custom kitchens to soft furnishings, Design Fusion can advise and select for Residential and Commerical spaces, with a focus on stylish solutions for real lives. No matter what your project, Design Fusion works to your needs. Our commitment is to be right there with you through the whole project, translating your vision into a design that works. We will select the right materials and finishes to make your interior design dream come true. Design Fusion also offers colour consultations, custom furniture design, custom kitchens & cabinetry, soft furnishings, accessories & artwork selection and lighting advice. We’re happy to help you start from the building plans or just freshen up a much-loved home. What are you waiting for? Get in touch, and let’s talk about your interior design vision. Antipode Interiors offers comprehensive Interior Design services for Residential areas, specialising in (but not limited to) Bathroom + Kitchen Design. The Travelling Stylist is an Interior Design and Styling firm. We are a team of two, Jacqui Dunn and Trudi Newson. Jacqui has been in the industry for 19 years, starting out as an Interior designer before moving into the styling field 7 years ago. Over the last two decades Jacqui has developed a strong database of contacts and suppliers within the industry. Trudi is a world traveller having lived and worked for many years in London, Sydney and Melbourne before returning to Adelaide. Trudi has a background in financial services and project management and has always had a strong interest in Design and Interiors. 5 years ago Trudi took the plunge and moved into the interior design market, training and working with private clients and on small commercial jobs. Together we are a strong, dynamic and enthusiastic team who complement each other. We both feel strongly that our role is to listen to the client and facilitate them in achieving their desired results. 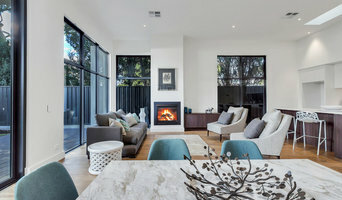 Inarc Interior Design is a multi-disciplinary design studio based in Adelaide, South Australia. The design studio offers services in interior design, property staging, sourcing products, furniture, joinery, graphic design, trend forecasting and architectural integration. Luxe Style Co. retail and interior design studio has been brought to life by Interior Designer, Kirsty Worthy. A unique concept store in Seacliff, South Australia with globally sourced furniture fine art and homewares. Luxe Style Co. exudes substance and style and is a sophisticated and eclectic mix of styles designed to inspire and reflect our stunning local environment. At Luxe you will find everything you need to create a 'Dream home/space'. Luxe Style Co. interior design service provide a comprehensive residential and commercial design service assisting with everything from sourcing single items to fitting out entire residential and commercial properties. 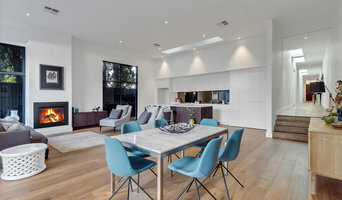 On occasion, interior designers in Prospect, South Australia will need to subcontract help from other Prospect, South Australia professionals to help create the perfect look for your home renovation. These may be specialist installers or interior decorators like kitchen designers, architects or landscape contractors. Start by asking yourself what you want your space to become and how it will be used. List your must-haves and decide on your budget. Interior design services can add up fast, so be upfront with potential interior designers from the beginning. Also, pick a designer in Prospect, South Australia that fits your style. Browse through their interior design portfolio on Houzz and ask yourself if you’d live in any of those houses. If the rooms inspire you, take note of what elements you appreciate. 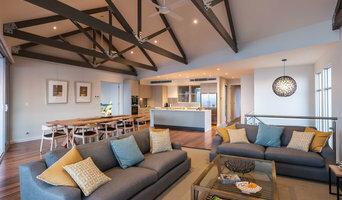 Find residential Prospect, South Australia interior designers on Houzz. Scroll through this page to find interior designers in your area. Then, browse their design portfolios to see how their work compares to the scope of your project. You can read reviews to see how other homeowners rate their work, and message them directly to to ask any specific questions.